Welcome to No Wasted Ink's Newsletter. 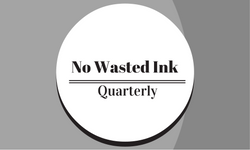 Thank you for joining the No Wasted Ink Newsletter. Once a quarter you will receive news from Author Wendy Van Camp about new book releases, book signings, convention appearances, book recommendations and other tidbits from the blog.